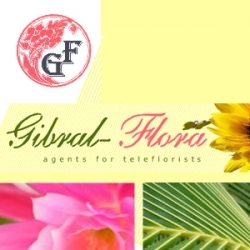 Welcome from all at Gibral-Flora real local English speaking florist on the Island of Gibraltar. 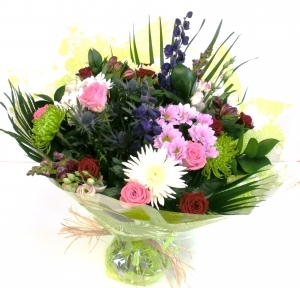 We are a traditional florist & Garden Centre specialising in same day deliveries throughout the Island. 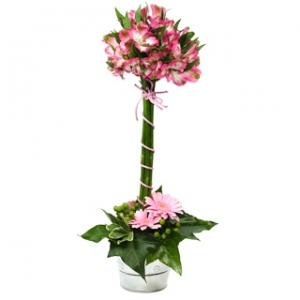 Looking for a last minute flower delivery to Gibraltar? Look no further!! 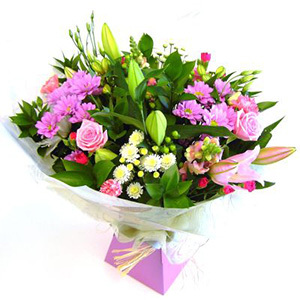 We cater for all your floral needs including birthday bouquets, arrangements, wedding - you want it? You got it! The flowers were lovely. 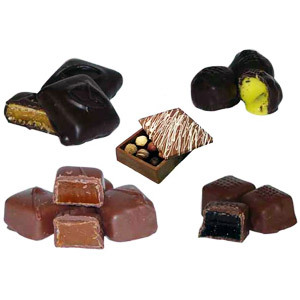 The recipients loved them and the photo I was sent looked lovely. 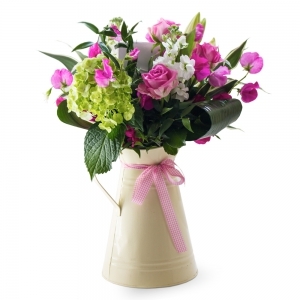 Love Gib flora I live in the UK but needed to send flowers to my sick mother in Gibraltar. She absolutely loved them and they were delivered the day after purchase . She sent me a photo and they looked great. Will defo use again! excellent service and instructions given were followed to the letter. flowers delivered were as per photo online. thanks! Perfect service and flowers. Really listened to my request. I absolutely will be using them again. Thank you. Great bouquet, reminded me to send a message as well ! Will use them again! Sent to my sister who said the flowers were beautifully. 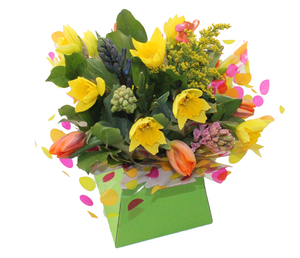 Fresh and lovely variations of bright colours. 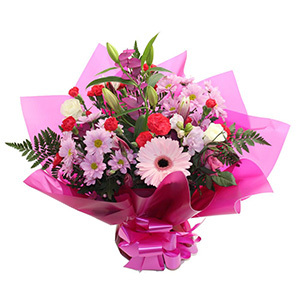 Due to the distance involved between UK and Gibraltar I have never seen the actual flowers which were delivered (only the online representation). However, the recipients have always told me that the flowers were beautiful and that's a result to me. Great service .delivered on time n flowers looked beautifull. Thank u..
My order was delivered as expected without any issues. The bouquet was beautiful and my friend really was wowed. Excellent job! The service I received from the florist was incredibly good - flowers were for a funeral and they managed to get all the details and the time at which they should be delivered. At all times they kept me informed of the status if the delivery. I also spoke to them on the phone and they were incredibly helpful. Honestly - I couldn't have asked for more. Thank you so much, the floral arrangement was just stunning.. I've ordered from India...i was pleasantly surprised that an international transaction was so seamless.. The hand-written note made it more personal. Thank you for making it so special. You guys just 'WOWed' me! Excellent communication. Managed to deliver to a difficult address with ease. Really pleased with the flowers, my mother in law was overwhelmed. 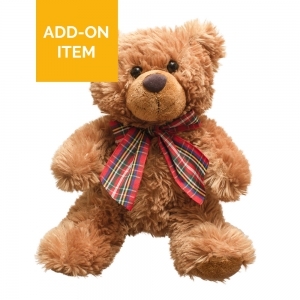 The order process was clear and simple and delivered the next day. Unbelievable service - I ordered from the UK at about 4am and it was delivered that same morning. The most affordable company I looked at too. Really happy and will use again. Absolutely beautiful bouquet. My daughter just posted a picture on FB and I couldn't be more pleased....neither could she! Thank you very much. The feedback on the flowers delivered has always been excellent. 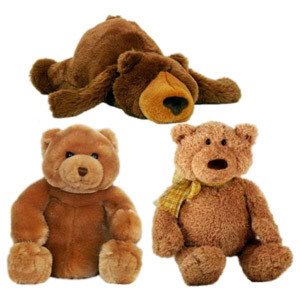 I have used this company on many occasions and just recently for my father's funeral and have always been very satisfied with the service and product. Thank you. No complaints delivered on day of order fantastic will use again. I haven't seen the flowers but have been told they're fab. Beautiful full display. I had asked for sympathy flowers for my cousin who had lost her mother. The result was a full thoughtfully put together display. Thank you so much. Will certainly use again. Flowers delivered on time....even though it was a su day!!! Recipient delighted with the range of flowers and how they were arranged. Not the first time I have used this company and it won't be the last as I am very happy with the service. 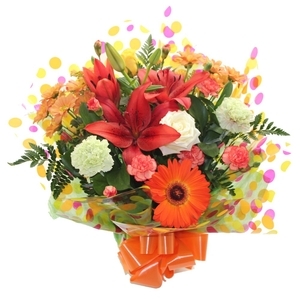 Beautiful fresh flowers, delivered at the exact time stated. many thanks! one problem. 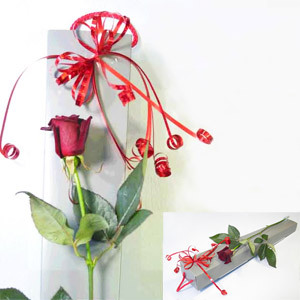 as a result of your agent not having red roses, you were compelled to phone me and inform whether i wanted to cancel or receive an alternative product. unforunately my wife was with me during our telephone conversation and somewhat spoiled the surprise. apart from that, thank you for your service. Beautiful flowers delivered within the time I had asked for, and the flowers are still looking good a week later. I would definitely use them again. Beautiful choice of flowers - and delivered on Mothers Day - a Sunday! Mum loved them - A big THANKYOU! The flowers and chocolate gifts were received by my friend exactly as planned and I was told that they looked beautiful. 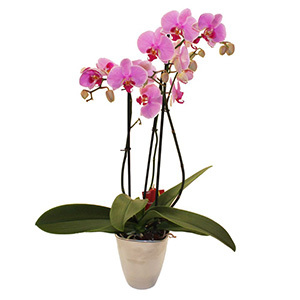 Direct2Florist was the only company that was able to execute my order in Gibraltar. 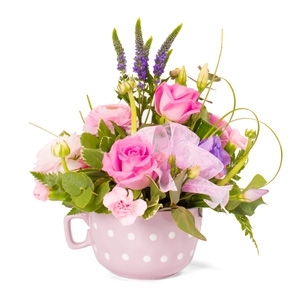 I tried three other companies and got to the point of having ordered the items and received confirmation only to receive and email saying that it could not be accepted, so well done Direct2Florist and Gibral-Floral for doing a great job I can certainly recommend! 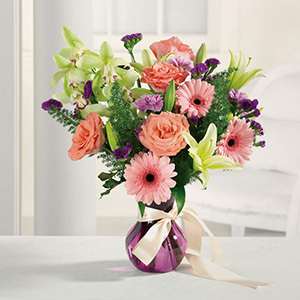 excellent service, a beautiful bouquet was delivered just a few hours after I placed the order. Arrived on the Tuesday despite it being Gibraltar Day on the Monday. The flowers were lovely. 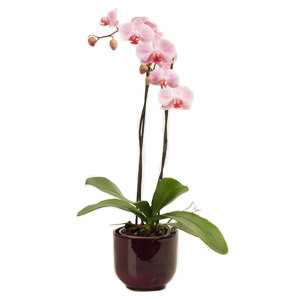 I appreciated being informed by e-mail that fresh flowers were unavailable for the chosen delivery day. 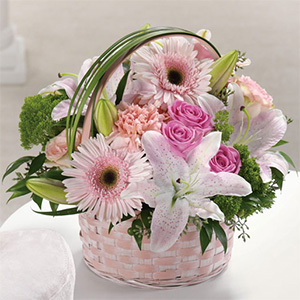 Therefore, assuming of course that the best fresh flowers were sent today, I would give a 5-star rating for service and quality. Very impressed with the service and the fact that I was phoned when the deliverer was unable to gain access. I gave another phone number of our friend's daughter and via this contact the delivery was completed. Our friend was delighted with the beautiful flowers. Excellent service and mum said the flowers were beautiful. Muchas Gracias por un servicio fantastico. Mi familia en Gib le han gustado mucho todos los differente bouquets que habais puesto. Desde Australia te felicitamos. Truly a 5 star service, nice people to deal with, muchas gracias. Very efficient, and fast delivery. Thanks again, I will use the service again. Very helpful when I emailed with questions regarding my overseas order, and even confirmed when they'd received my order by email. Made me feel my request was important and that they cared about giving me peace of mind. Flowers were great too! Efficient and user friendly service. Thank you. Very good service at a busy time of year. My friend is so pleased with her flowers. The speed of delivery was excellent. excellent service and beautiful flowers - as always!!! My speciacl requests were met and my mother was suprised and delighted. 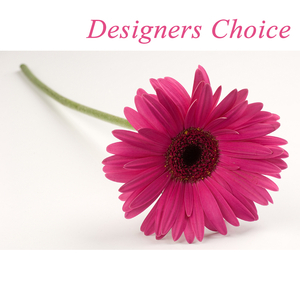 Recipient said flowers were lovely and we were pleased that they received them on the same day as we ordered them. 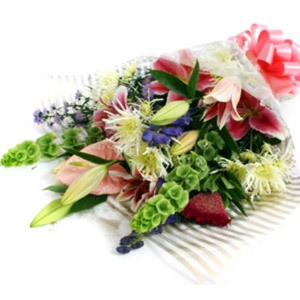 I am giving rating of 5 as flowers delivered promptly and the person who received them was delighted by the way they were presented. My only concern was that I specified colour and this was not completely done. I asked for lilacs, pinks and whites and was told by the recipient that they were orange and white. I was a little disappointed by this, as I had no control and wouldn't have known if I hadn't asked her myself. 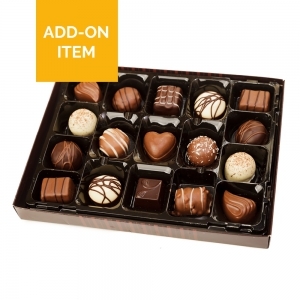 Very easy to order and delivered on time. Many thanks. amazing fast delivery, thank you! 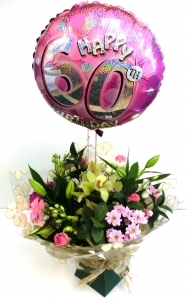 A stunning bouquet and a helium balloon, a gift with Wow factor delivered by Gibral-Flora in Gibraltar. Plants - subject to availability.